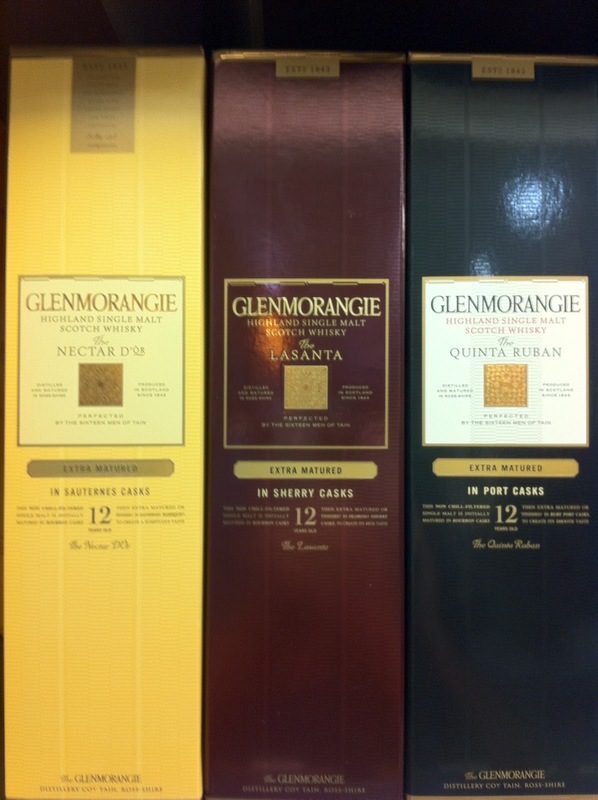 The Quinta Ruban is the last Scotch of the Glenmorangie Sampler pack that I tried. I enjoyed The Original along with two other extra-matured presentations: The Lasanta and The Nectar D'Or. After its initial ten years of aging, The Quinta Ruban is aged for an additional two years in Port Casks to create this expression. 46% alcohol. Imported by Moët Hennessy in New York, NY. Nice aroma. Can really smell chocolate, just amazing. Lots of fruits in this bouquet too. Oranges and cherries and grapes. Along with those scents, honey and a background spiciness intermingle. The Port character is unmistakable from the beginning. I really liked the grape sweetness and spiciness that was imparted by the extra maturation. Quite a fruity Scotch, very juicy, with apples and oranges on top of the grapes. Honey soothed a good-sized burn before some spicy cinnamon flavors came through toward the end. Chocolate and almonds added nice intricacies and there was a bit of wood too. The finish was unexpectedly short, especially when comparing it to the other expressions. Very nice, but I think I'm going to say the Sauternes-aged Nectar D'Or variation was my favorite so far. But this could easily be the spirit that will make you switch!